Barry St. John' management encouraged her to leave the band and pursue a solo career in England. In 1964, she recorded her first single for Decca a cover of The Jarmels, ‘A little bit of soap’ and the’ B side’ was a cover of The Shirelle's 'Thing of the Past'. Both highlighed perfectly her soulful vocal stylings. 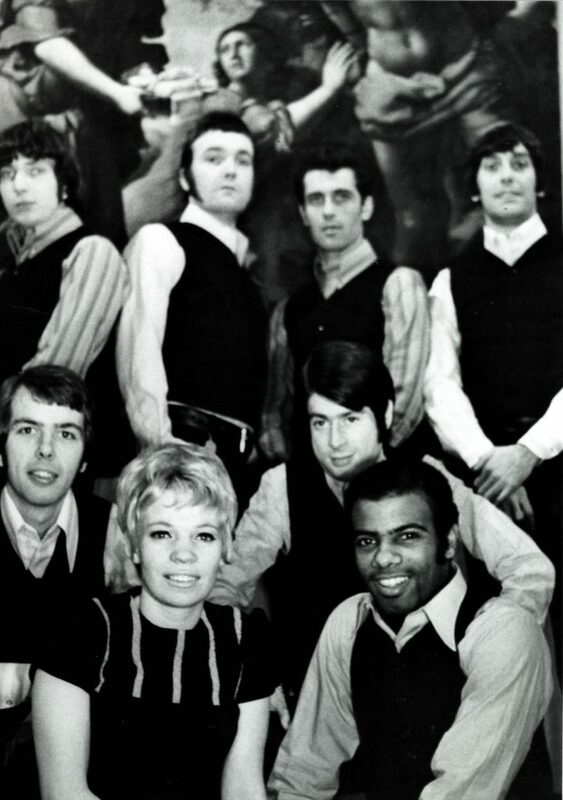 Her follow up single, was a version of the Newbeats’ ‘Bread and butter’ made the German top 40 in 1964. In 1965, she had a minor UK hit with Chris Andew’s ‘Mind how you go’, but the follow up ‘Hey boy’ produced by Andrew Loog Oldham , failed to attract attention and Decca released her from contract. 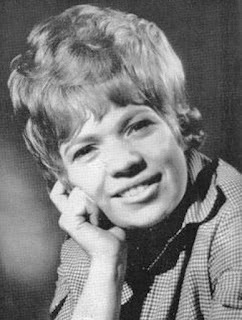 Barry moved to Columbia Records, and had her only UK singles chart entry with an anti-protest song, "Come Away Melinda", produced by Mickie Most and Mike Hurst made #47 in the UK charts in 1965. The ‘B side’, Although atypical of her work, the song came the closest to providing Barry with a UK hit – it spent one week at number 47 in the UK charts in December 1965. 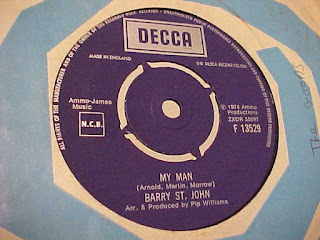 The B-side, ‘Gotta brand new man’, was more in her style and later became much in demand on the northern soul dance scene. The more soulful, ‘Everything I touch turns to tears,’ (1966) failed to sell well and Barry was released from her contract. The song has subsequently became popular with northern soul. In 1967, she joined The Krew, as lead vocalist and this brought her back to work with former The Bobby Patrick Big Six member, Archie Legget. The band released an album entiltled, ‘According To St. John, ‘ on Major Minor label in 1968. The album was produced by produced by Mike Pasternak, (aka Emperor Rosko). The next two singles came from the album. Cry like a baby, was released in 1968 The second was a cover of By the time I get to Phoenix, which had previously given Country and Western singer Glenn Campbell a hit in the US. Barry became regular session singer and worked with Alexis Korner, Long John Baldry, and Duster Bennett in the late 1960s. Between 1972 and 1973 she was a member the Les Humphries Singers and later featured on backup in Pink Floyd's The Dark Side of the Moon (1973) and Roger Glover's rock opera The Butterfly Ball and the Grasshopper's Feast (1974). She also was a session singer on Andy Fairweather Low's, La Booga Rooga (1975). Whilst still a session singer and working with Bryan Ferry, Steve Harley & Cockney Rebel and Elton John in the 70s, she carried on with her solo career releasing several singles including 'My man,' (1974), and 'I won’t be a party' (1975). Barry continued a busy schedule into the early 1990s having worked with many pop luminaries including Elton John and Jorge Ben Jor.